Prežihov Voranc is the alias of the writer Lovro Kuhar, born on 10 August 1893 in the small village of Kotlje in Slovene Carinthia, on the present Slovene-Austrian border. Raised in a poor peasant family, Kuhar received only rudimentary formal education. During the First World War he deserted from the Austrian army and was incarcerated in Italy. Returning home, he became tightly involved in the workers’ movement and rose to prominence as a member of the Yugoslav Communist Party. Due to his political views he was forced to emigrate to Paris when the royal court in Belgrade declared his party illegal. Shortly before the outbreak of the Second World War he returned to Ljubljana, operating as a resistance activist until he was jailed by the Italian authorities. Surviving internment in a Nazi concentration camp, he returned to Slovenia where he lived until his death in 1950. 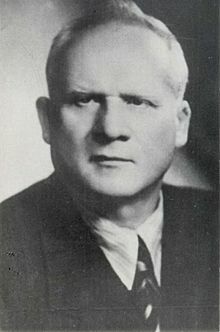 Lovro Kuhar established his literary reputation in the 1930s as an expatriate, with impactful works published in various Slovene journals under the pen name Prežihov Voranc. His most important contributions are the novels Požganica (1939), Doberdob (1940) and the collection of short stories Samorastniki (The Self-Sown, 1940). Kuhar wrote in the tradition of social realism, demonstrating his moral preference for the down and out rural and blue-collar man, while his masterful literary style displays a journalistic approach with impressionist undertones. An example of potent artistic testimony to suffering and pain, his works remain intriguing metaphors of the human condition.